Unity in a Nutshell #2: “Made in the Image” — In our second Unity principle, Rev. 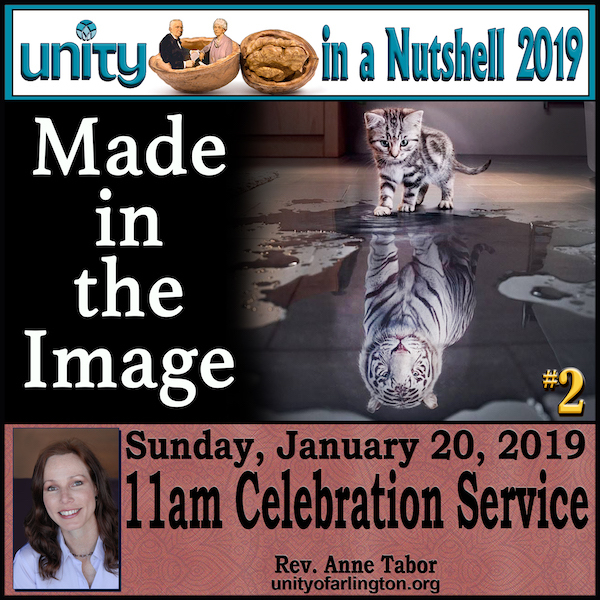 Anne takes a closer look at our True Nature and explores how we are each created in original blessing.. We each have a spark of the Christ Spirit within us. Our very essence is of God and therefore we are inherently good. This idea can be a real challenge theologically… especially since we do not always behave this way! Yet, if the Presence of God exists in all things, then how could we be anything but divine?